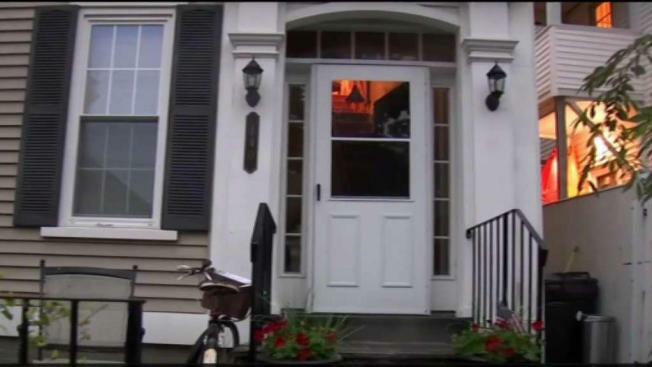 Police continue to investigate a shooting incident at a home in Portsmouth, NH, and say charges could be filed, pending the outcome of the investigation. A former New Hampshire police commissioner accused in a shooting of a teenager who mistakenly thought her home was a party venue has been charged. Brenna Cavanaugh was indicted Tuesday on assault charges in the Aug. 18 shooting. Police say the teenager went to the address based on a text message he received. He entered the home around 3:30 a.m.
Police say Cavanaugh chased the boy from her home. They say Cavanaugh's partner, Mark Gray, followed and began shooting at the teenager as the teen backed up his truck, hit a pole and drove away. The teen was not injured. Gray was charged in the shooting in September. He pleaded not guilty. A message left with her attorney Saturday wasn't immediately returned. Cavanaugh spent four years as Portsmouth police commissioner.